A bit late on this result – the race was last week, but sure – a big well done to Fiona Sutherland coming in at 4:42 in the Maratona di Roma last Sunday. Some closer (and shorter!) 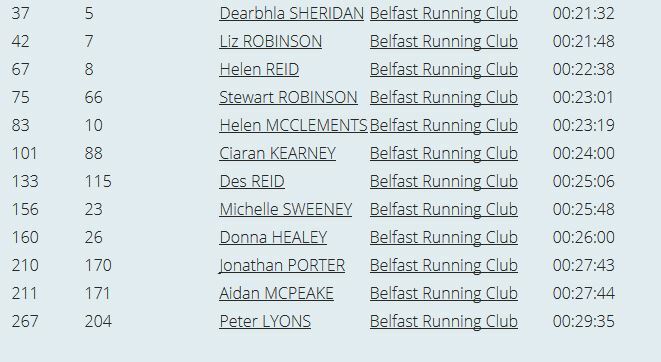 to home now..
Dearbhla was also the 3rd placed Female in the Portadown 10k. Steve came second place overall despite having to negotiate some cattle grids. Beat those cattle grids and Ormeau park will be wee buns.. If your parkrun time isn’t not listed – update your parkrun profile to be added into the mix.